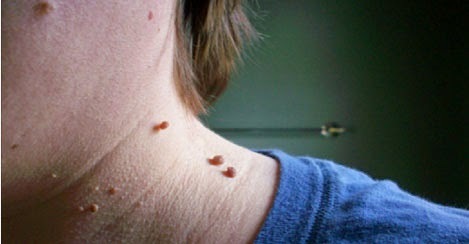 Skin tags are benign and soft skin growths hanging on the skin. They are not harmful to health, but most people want to get rid of them, as they usually appear at unpleasant places, like the neck. We have some good news for you. You do not have to go to your doctor, and there is an easy way to remove them at home. Apple cider vinegar is the only thing you need to remove skin tags safely without bleeding and leaving any scars behind.